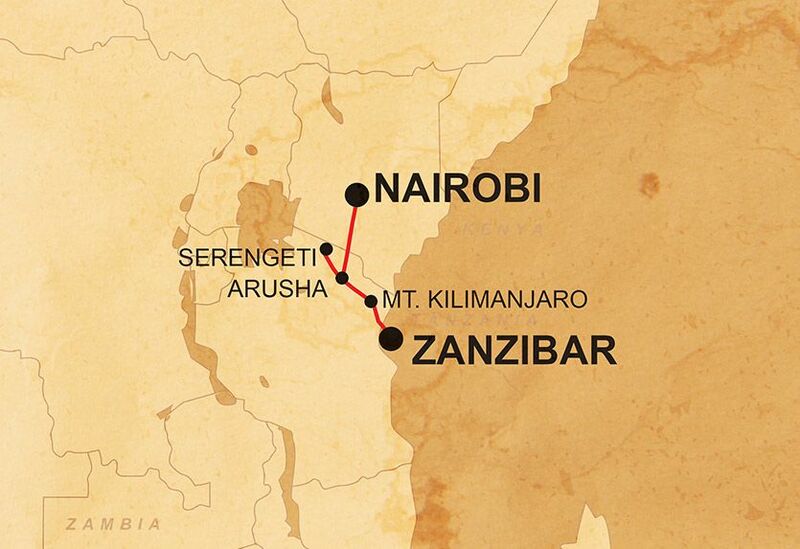 On this epic trip through Kenya and Tanzania, we will be travelling overland, using a combination of overland vehicles, ferries, and 4x4s, thus cutting out the need for air travel and reducing carbon-emissions. Going overland (by car and on foot for excursions) means you get to experience physically crossing the borders between countries as well as explore places which are off the beaten track. We have a strict set of rules regarding wildlife-spotting, for example when in the Serengeti National Park. In order to minimise the impact of our presence on the wildlife and ecosystem of the areas where we travel, we explicitly forbid any involvement in activities that harm or exploit animals, and advise our crew in specific activities to avoid in this regard. In Nairobi we visit and support the David Sheldrick Animal Orphanage, the most successful orphan-elephant rescue and rehabilitation program in the world and one of the pioneering conservation organisations for wildlife and habitat protection in East Africa. Wherever we are in the world, we prefer to use smaller locally-owned businesses, ensuring that local communities gain a direct economic benefit from our business, for example, we use small locally owned hotels, campsites and activity providers wherever possible. In Arusha we stay at a campsite that runs a clinic for local people that our fees part-fund, and that we have the opportunity to visit. We use local guides and operators throughout the trip; for example, in the Serengeti National Park we use a responsible local operator that provides training and employment to many local people as guides, providing them with stable employment in the tourism industry. We are also involved with a variety of community projects in key destinations as we visit. Our involvement with these projects is a long-term commitment, allowing us and our passengers to participate directly in delivering real practical benefits to the communities we travel through on the ground. The projects are not tourist initiatives, but a way of employing tourism to generate funding and support and facilitate community interaction. For instance, in Marangu we visit and support the Marangu Village Education Project, a UK-based charity that provides education and vocational training to children and adults in the area.